The NAMES Project - AIDS Memorial Quilt was created in 1987 to commemorate the lives lost and impacted by HIV/AIDS. The Quilt has grown into a massive collection of more than "48,000 individual 3-by-6-foot memorial panels" in the many years since then. Sheryl Lee Ralph lost many friends and colleagues to the epidemic during its darkest days of the 1980s. That's when the singer and actress was co-starring on Broadway in the original production of the iconic musical Dreamgirls. "I saw my friends literally drop dead," said the singer, actress and activist. "It was awful because I saw them die under stigma, shame and silence. I saw people who could’ve helped turn their backs on [them] and act as if they didn’t know any [people with] AIDS. That’s when I made up my mind to [that] we have got to do better." Today's required viewing is courtesy of the New York Times' "Vows" franchise. The amazing love story is of Lewis Duckett (right) and Billy Jones—who have been together for more than 46 years. The couple adopted a son and now have grandchildren. They were married a little more than three months ago in The Riverside Church of New York City. "We were formally introduced by a mutual friend," said Billy Jones, MD, a psychiatrist. "We sort of clicked and enjoyed being with each other. And before either one of us knew it ... we were in love." Dr. Jones was deployed to Vietnam soon after they met. The couple began exchanging letters "almost every day," said Lewis Duckett. "We wrote in code and changed genders so nothing could be interpreted to 'out' him. But that's a new word they didn't have back then," he added. "For most of our 46 years together, I don't know where I stop and he begins," said Dr. Jones. "It's been that kind of blending." I’m From Driftwood has featured a number of fascinating stories from members of the Black LGBT community to honor Black History Month. One in particular caught our attention: The video featuring 70-year-old Philadelphia resident Tyrone Smith, who recalled the dark days of the 1980s HIV/AIDS epidemic. Mr. Smith remembers the many losses, but adds that the epidemic served as a catalyst to bring together Philadelphia's historic Black LGBT community. One of the things I want to share with you today is some of the history of black gay men here in Philadelphia. On this calendar there were a group of men who were a part of a movement which was called Unity Incorporated which was the first group to deal with AIDS and HIV for black, gay men in the city of Philadelphia. But as I look at this picture that we took on top of a rooftop, so many of these brothers are not here. All of these young men made a contribution: Arnold Jackson, Bill Jackson, all of these boys, and Kenneth they all made a great contribution of giving their lives but out of that forged what we have now as the Black Gay men’s leadership counsel. People in the rooms where differences are being made, openly affirming their gayness. Prior to this, this epidemic, that was not happening. So I think that if there’s anything good that’s come about, it’s the fact that we were able to come together, organize and move forward to where we are now in the year 2012. I’m From Driftwood is a critically-acclaimed oral history project that features submissions from LGBT people across the globe. 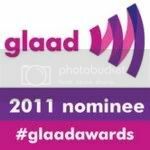 Several other notable posts by Black LGBTs in recent weeks include Amber Hikes' story of coming out as bisexual to her mother, transgender actress Laverne Cox's emotional story of being bullied and film director Stephen Winter discusses growing up biracial and gay. President Obama has issued his annual proclamation of LGBT Pride Month. The proclamation recognizes gays and lesbians, gender identity, LGBT seniors, youth and families, among others. It also lists achievements by the Administration, such as pushing for a repeal of "Don't Ask, Don't Tell", hate crimes legislation, banning gender identity discrimination in federal employment, hospital visitation and the National HIV/AIDS Strategy. Curiously, there is no mention of the Administration's recent decision to stop defending one of the key provisions of the Defense of Marriage Act. The story of America's Lesbian, Gay, Bisexual, and Transgender (LGBT) community is the story of our fathers and sons, our mothers and daughters, and our friends and neighbors who continue the task of making our country a more perfect Union. It is a story about the struggle to realize the great American promise that all people can live with dignity and fairness under the law. Each June, we commemorate the courageous individuals who have fought to achieve this promise for LGBT Americans, and we rededicate ourselves to the pursuit of equal rights for all, regardless of sexual orientation or gender identity. Since taking office, my Administration has made significant progress towards achieving equality for LGBT Americans. Last December, I was proud to sign the repeal of the discriminatory "Don't Ask, Don't Tell" policy. With this repeal, gay and lesbian Americans will be able to serve openly in our Armed Forces for the first time in our Nation's history. Our national security will be strengthened and the heroic contributions these Americans make to our military, and have made throughout our history, will be fully recognized. My Administration has also taken steps to eliminate discrimination against LGBT Americans in Federal housing programs and to give LGBT Americans the right to visit their loved ones in the hospital. We have made clear through executive branch nondiscrimination policies that discrimination on the basis of gender identity in the Federal workplace will not be tolerated. I have continued to nominate and appoint highly qualified, openly LGBT individuals to executive branch and judicial positions. Because we recognize that LGBT rights are human rights, my Administration stands with advocates of equality around the world in leading the fight against pernicious laws targeting LGBT persons and malicious attempts to exclude LGBT organizations from full participation in the international system. We led a global campaign to ensure "sexual orientation" was included in the United Nations resolution on extrajudicial execution -- the only United Nations resolution that specifically mentions LGBT people -- to send the unequivocal message that no matter where it occurs, state-sanctioned killing of gays and lesbians is indefensible. No one should be harmed because of who they are or who they love, and my Administration has mobilized unprecedented public commitments from countries around the world to join in the fight against hate and homophobia. At home, we are working to address and eliminate violence against LGBT individuals through our enforcement and implementation of the Matthew Shepard and James Byrd, Jr. Hate Crimes Prevention Act. We are also working to reduce the threat of bullying against young people, including LGBT youth. My Administration is actively engaged with educators and community leaders across America to reduce violence and discrimination in schools. To help dispel the myth that bullying is a harmless or inevitable part of growing up, the First Lady and I hosted the first White House Conference on Bullying Prevention in March. Many senior Administration officials have also joined me in reaching out to LGBT youth who have been bullied by recording "It Gets Better" video messages to assure them they are not alone. This month also marks the 30th anniversary of the emergence of the HIV/AIDS epidemic, which has had a profound impact on the LGBT community. Though we have made strides in combating this devastating disease, more work remains to be done, and I am committed to expanding access to HIV/AIDS prevention and care. Last year, I announced the first comprehensive National HIV/AIDS Strategy for the United States. This strategy focuses on combinations of evidence-based approaches to decrease new HIV infections in high risk communities, improve care for people living with HIV/AIDS, and reduce health disparities. My Administration also increased domestic HIV/AIDS funding to support the Ryan White HIV/AIDS Program and HIV prevention, and to invest in HIV/AIDS-related research. However, government cannot take on this disease alone. This landmark anniversary is an opportunity for the LGBT community and allies to recommit to raising awareness about HIV/AIDS and continuing the fight against this deadly pandemic. Every generation of Americans has brought our Nation closer to fulfilling its promise of equality. While progress has taken time, our achievements in advancing the rights of LGBT Americans remind us that history is on our side, and that the American people will never stop striving toward liberty and justice for all. NOW, THEREFORE, I, BARACK OBAMA, President of the United States of America, by virtue of the authority vested in me by the Constitution and the laws of the United States, do hereby proclaim June 2011 as Lesbian, Gay, Bisexual, and Transgender Pride Month. I call upon the people of the United States to eliminate prejudice everywhere it exists, and to celebrate the great diversity of the American people. IN WITNESS WHEREOF, I have hereunto set my hand this thirty-first day of May, in the year of our Lord two thousand eleven, and of the Independence of the United States of America the two hundred and thirty-fifth. Because the Bible told him so! A 28-year-old suburban Philadelphia man has been arrested and charged with murder in the beating death of a 70-year-old man who had befriended him and "made him executor and sole beneficiary of his will," reports the Philadelphia Inquirer. The self-confessed killer claims the elderly man made "homosexual advances toward him" and the Old Testament demanded the death of homosexuals. John Joe Thomas, 28, of the first block of Sunshine Rd. in Upper Darby, allegedly told police he killed Murray Joseph Seidman, 70, because the older man had made sexual advances and that the Old Testament spelled out stoning as the punishment for homosexuality. Lansdowne police Chief Daniel Kortan said the break in the investigation came when Thomas allegedly told a witness he beat an older man to death. "I killed a man," Thomas allegedly told the witness. He then described how he placed batteries and rocks in a sock, and hit Seidman in the head at least 10 times. Thomas then returned to Seidman's apartment several days later and called police, saying he had discovered the body, according to court documents. When police interviewed Thomas on Wednesday he said Seidman had been making advances toward him over a period of time. Thomas said he read in the Old Testament that homosexuals should be stoned in certain situations. Thomas reportedly led police to a grisly crime scene. Delaware County authorities believe Seidman had been dead "between five and 10 days" before police discovered the body, reports NBC Philadelphia. Beyond disgusting ... and certainly not the first time the Bible has been used to justify violent homophobic attacks. The view from the front row at the 2011 LGBT Editor/Blogger Conference in San Francisco. The convening is underwritten by the San Francisco-based Evelyn and Walter Haas Jr. Fund. The conference gathers 50+ of the nation's leading LGBT editors, bloggers and writers for an update on research and political/policy developments around immigration, LGBT youth and various federal lawsuits regarding marriage and family recognition. Fellow GLAAD Media Award nominee Andres Duque. Veteran Chicago-based journalist Tracy Baim, the publisher and editor of Windy City Times and editor of Obama and the Gays: A Political Marriage. I was delighted to be included among the contributors. Tracy and WCT's Jean Albrights were a few rows behind me on the long (and crowded flight) from Chicago. The morning presentation included a discussion by CAUSA's Aeryca Steinbaum on immigration reform and LGBT issues. The twitter hashtag is #HAAS11. I'll be live tweeting some updates and look for more later today. A gay man in Lowell, Massachusetts woke up to find derogatory words and anti-gay slurs written in black marker on his door ... but police "have not yet called" it a hate crime, WHDH reports. "The words AIDS, SNITCH and GET OUT were written, along with gay slurs. "I was singled out and targeted because I was a homosexual," said the victim. And he’s hiding his identity out of fear. "I feel that my safety is at risk and if my face is shown I will be attacked or I will have to constantly be looking over my shoulder," said the victim. Lowell police have not yet called it a hate crime, but this victim says there’s no question it was. "The word “hate” was actually used," said the victim. The victim appears to be Black, but apparently no racial epithets were used. There have been no arrests so far. The View's Elisabeth Hasselbeck offer this priceless theory why some women come out later in life as lesbians: "Older men are going for younger women leaving the women with no one." Joy Behar for the win: "Being gay is not just holding hands and walking through the tulips. I don't think you suddenly wake up one day and say, 'Oh, I wanted to do that.' You wanted to do it, but you were just trapped in a system that has just said, 'get married.'" So do older men come as gay because ... the older women are all lesbians? Or there are not enough younger women available? SMH. In related news: This afternoon, President Obama will tape a segment of The View, making history as the first sitting president to visit a daytime talk. Between Sherri Shepherd's recent comments on the "down low" and Hasselbeck wingnut sociological theories, there's plenty to discuss. The episode will air on Thursday. Earlier this evening, the President addressed a group of HIV/AIDS activists in the East Room of the White House. Obama delivered brief remarks on the nation's first National HIV/AIDS Strategy which was unveiled today. Among others, the President acknowledged Global AIDS Coordinator Eric Goosby, the Presidential Advisory Council on HIV/AIDS and Craig Washington, the Atlanta-based black gay HIV activist. Said the President: "We’re here because of people like Craig Washington, who after seeing what was happening in his community—friends passing away; life stories sanitized, as he put it, at funerals; homophobia, all the discrimination that surrounded the disease—Craig got tested, disclosed his status, with the support of his partner and his family, and took up the movement for prevention and awareness in which he is a leader today." President Obama was briefly interrupted by Housing Works President Charles King, who has slammed the NHAS as a "step backwards" and criticized the Administration for not allocating more HIV/AIDS funding. "We’ll be able to talk after I speak," the President said, diffusing the situation. "So you don’t have to yell." The White House has issued the following proclamation to recognize Father's Day. Read the fourth paragraph. From the first moments of life, the bond forged between a father and a child is sacred. Whether patching scraped knees or helping with homework, dads bring joy, instill values, and introduce wonders into the lives of their children. Father's Day is a special time to honor the men who raised us, and to thank them for their selfless dedication and love. Fathers are our first teachers and coaches, mentors and role models. They push us to succeed, encourage us when we are struggling, and offer unconditional care and support. Children and adults alike look up to them and learn from their example and perspective. The journey of fatherhood is both exhilarating and humbling it is an opportunity to model who we want our sons and daughters to become, and to build the foundation upon which they can achieve their dreams. Fatherhood also carries enormous responsibilities. An active, committed father makes a lasting difference in the life of a child. When fathers are not present, their children and families cope with an absence government cannot fill. Across America, foster and adoptive fathers respond to this need, providing safe and loving homes for children facing hardships. Men are also making compassionate commitments outside the home by serving as mentors, tutors, or big brothers to young people in their community. Together, we can support the guiding presence of male role models in the lives of countless young people who stand to gain from it. Nurturing families come in many forms, and children may be raised by a father and mother, a single father, two fathers, a step father, a grandfather, or caring guardian. We owe a special debt of gratitude for those parents serving in the United States Armed Forces and their families, whose sacrifices protect the lives and liberties of all American children. For the character they build, the doors they open, and the love they provide over our lifetimes, all our fathers deserve our unending appreciation and admiration. NOW, THEREFORE, I, BARACK OBAMA, President of the United States of America, in accordance with a joint resolution of the Congress approved April 24, 1972, as amended (36 U.S.C. 109), do hereby proclaim June 20, 2010, as Father's Day. I direct the appropriate officials of the Government to display the flag of the United States on all Government buildings on this day, and I call upon all citizens to observe this day with appropriate programs, ceremonies, and activities. Let us honor our fathers, living and deceased, with all the love and gratitude they deserve. The proclamation is similar to the one issued for Mother's Day. Bravo. And here's looking to the day when "two fathers" have equal rights under the law.